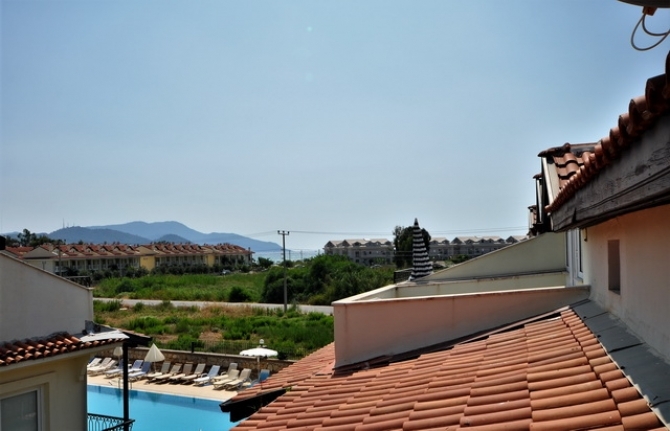 Lovely beach front property in Calis with slight sea views. This delightful duplex apartment has 4 double size bedrooms, 2 shower rooms, an open plan lounge and kitchen and is being sold fully furnished including all white goods and air con units. The apartment is arranged over the first and attic floors. 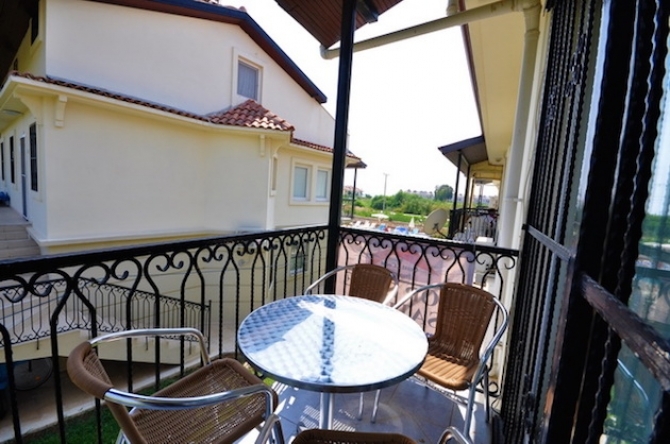 Spacious open plan lounge and kitchen with front balcony overlooking the pool with sea views. Open plan kitchen with breakfast bar separating both rooms, white goods are included as is all the lounge and balcony furniture. 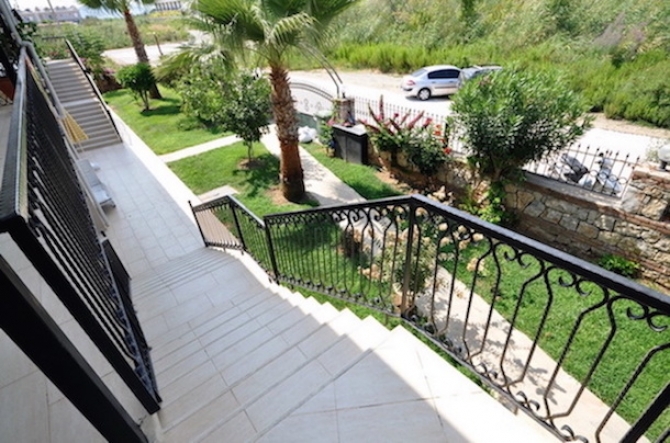 2 double sized bedrooms with air conditioning, family bathroom room, Under stairs utility /storage room. Staircase to attic floor. Large Master double bedroom with walk in wardrobe air conditioning, and roof terrace with sea views. Twin bedroom with air-conditioning. Family Shower room. All Security bars on windows and doors along with Mosquito nets, large Communal swimming pool, Mature well kept gardens, Off street parking, Located just off the beach front, Minutes from bars and restaurants yet at the quieter end of the promenade. Only 16 apartments in the complex.